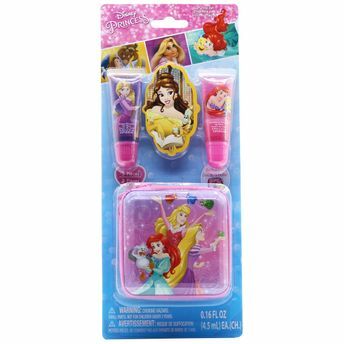 Let your princess live in her world of fancy with Disney Princess Lip Gloss Kit. This lip balm can keep her lips moisturised all day long and make her look glamorous. These cute princess-inspired lip gloss kit is safe of kids aged 3 years and above. It is non-toxic, water-based formula. The kit comes in an endearing prince purse which contains two lip tubes featuring her favorite Disney Princesses.